It costs money to borrow money, but it doesn't necessarily need to cost a lot. Loans should benefit both borrowers and lenders. When you get a loan, it’s critical to manage your interest rate and processing fees. You can usually avoid problems by being selective about the types of loans you use. If you’re facing high-interest-rate debt (whether you already borrowed, or it looks like the only option available), evaluate less-expensive ways to get the money you need. Lowering your borrowing costs means that each payment goes farther in reducing ​your debt burden. Personal loans are traditional loans from a bank, credit union, or online lender. These loans are typically less-expensive than credit cards, payday loans, and title loans. They come with a relatively low interest rate, and that rate often remains fixed throughout the life of your loan. No surprises: These straightforward loans typically don’t have "teaser" rates, so you’re not likely to get surprised by sudden payment increases. Processing fees should also be low or nonexistent. 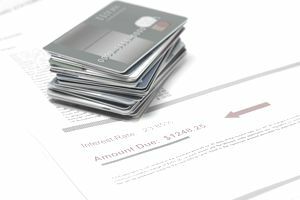 Assuming you use a bank or credit union (as opposed to a payday loan shop) all of your costs are typically included in the interest rate you pay. How payments work: With a personal loan, you borrow everything you need to pay off your other obligations in one lump-sum. Then you make regular monthly "installment" payments until you pay off the loan (over a three or five-year term, for example). With each monthly payment, a portion of the payment goes toward reducing the loan balance, and the rest covers your interest costs. That process, known as amortization, is easy to understand and predict with online calculators. Pay off debt early: What if you come into some money? That's great. You can usually pay off the loan at any time without penalty. Getting approved: To qualify for a personal loan, you need decent credit and sufficient income to repay the loan. But you don't need to pledge collateral to secure the loan. These are sometimes known as "signature" loans because your promise to repay (along with credit and income) is all you need to qualify for the loan. P2P loans are a subset of personal loans. Instead of borrowing from a bank or credit union, you can try borrowing from other individuals. Those individuals might be friends and family, or they might be complete strangers who are willing to lend through P2P websites. Getting approved: When compared to banks, P2P lenders may be more willing to approve you with less-than-perfect credit or an irregular income. They may also use “alternative” ways to evaluate your creditworthiness. For example, they may consider your college degree or your rental payment history as signals of creditworthiness. Of course, it only makes sense to borrow if you're sure you can afford to repay. Informal loans: Especially with friends and family, your finances might not matter, but it's still wise to protect your "lender" and your relationships. Put everything in writing so there are no surprises, and secure large loans (like home loans) with a lien in case something happens to you. If you have good credit, you might be able to borrow at low "teaser" rates by taking advantage of balance transfer offers. To do so, you may need to open a new credit card account, or you might get convenience checks from existing accounts that allow you to borrow at 0 percent APR for six months or so. Balance transfers can work out well when you know that a loan will be short-lived. But it's hard to predict the future, and you might end up keeping that loan on the books beyond any promotional time periods. If that happens, your "free money" becomes high-interest-rate debt. Use balance transfer offers sparingly, and pay attention to fees that can wipe out all the benefits. If you own a home and have plenty of equity in the property, you may be able to borrow against your home. Second mortgages often come with relatively low interest rates (again, compared to credit cards and other consumer loans). But this strategy is far from perfect. The main problem with home equity loans is that you risk losing your home: If you fail to keep up with the payments, your lender can potentially force you out and sell your home. In many cases, that's not a risk worth taking—sometimes it's better to use "unsecured" loans like the loans described above. What's more, you typically pay closing costs to get a home equity loan, and those costs can wipe out any savings you get from putting your home on the line. Finding loan options is easy. Getting approved is the hard part. So, what can you do if lenders aren’t approving your loan? Go smaller: You might have better luck at smaller institutions. Credit unions and local banks evaluate your credit and income, but they might be more flexible than megabanks. Pledge collateral: If you don't have sufficient income and assets to qualify for a loan, do you have any assets? You might be able to use those assets as collateral and get approved for a loan. Start with traditional banks and credit unions, and use storefront financing only as a last resort. At a bank or credit union, you might be able to pledge savings accounts, CDs, and other financial accounts as collateral. Partner up: A cosigner might help you get approved. If you know somebody with good credit and a decent income, lenders might use that person’s credit and income to approve the loan. However, that arrangement is risky for cosigners. If you fail to repay for any reason, your cosigner is 100 percent responsible for everything you borrowed, including fees and interest. It’s important that your cosigner understands the risk, and that you understand how generous it is for somebody to cosign for you. Establish credit. Doing so makes it easier to get approved with lower interest rates, and you can choose from a variety of lenders instead of taking whatever is available. Keep an emergency fund. With cash on hand, you can deal with surprises without going into debt. Plan your spending. Budget for monthly savings so you can get on solid financial ground. Then, pay off debt and save for long-term goals.